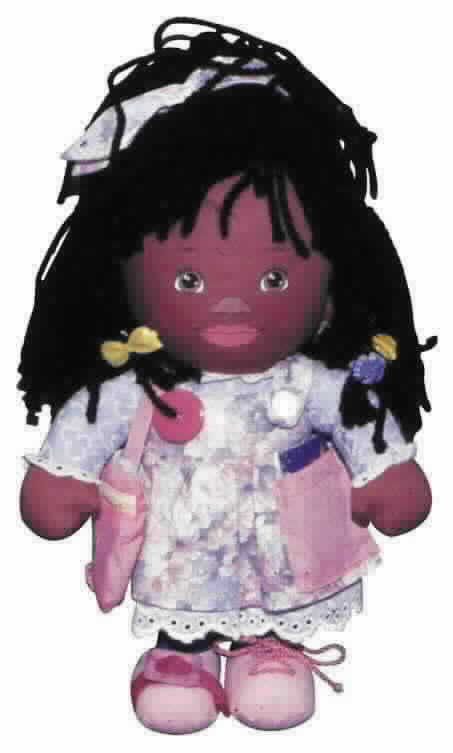 "GREW TO BE" Dolls are soft and cuddly representatives of some of our country's most notable African-American heros. Each easy to carry doll is 14" tall and features buttons, zippers and ties that help teach little fingers manipulative techniques and fine motor skills. A brief history of the hero's accomplishments accompanies each figure. For ages 3-6 years. Little C.J. represents Madame C.J. Walker, America's first self-made female millionaire of any color. This "Grew To Be" doll includes long hair, a comb and barettes for little hands to braid, comb or style.